Robert Rosenthal is the director of the “Center for Investigative Reporting.” He sat down with Alexander Görlach to talk about collaborative work, journalistic funding models, and the importance of accountability. The European: What is the core of your new business? Rosenthal: Unique high quality content. Our goal was not to be a news organization, where we would be doing what everybody else is doing, but rather to focus on what we call investigative accountability journalism. The European: What do you mean by that? Rosenthal: The central idea was to take the core of the story, the information, and you´re creating a team of people around it. Traditionally, I might have worked putting that story in a newspaper, on TV or on radio. But our model is to tell the story on every platform and innovate as we go along. It is a model of producing and thinking that you can’t do in a legacy news organization. The European: Who are you competing with? Rosenthal: Our work is recognized throughout the United States. This year we’ve won multiple national journalism awards in competition with the NY Times or the Washington Post. We have a team of people here, who understand that our work is very collaborative. Any idea may be a good idea and we´re going to try things. The European: Did you expect the success? Rosenthal: When I started the Center for Investigative Reporting it was not clear we would survive one single year. Funding was not coming in and it was the beginning of the collapse of the financial markets in 2008. It turned out well, sitting here 4 years later in the Center for Investigative Reporting where we have a staff of 74 people and a budget of almost 11 million dollars. The European: Do you see yourself more in the business position or in the journalist position? Rosenthal: I think it’s both. What happened is that I became much more of an entrepreneur, and it grew out of the fact that I was incredibly frustrated by the inability in the corporate environment in newspapers that I personally experienced in Philadelphia and San Francisco trying to do something different as the business model for newspapers collapsed because of the changes brought by the internet. The European: It´s not the user who’s paying. But you found people who want to be engaged in good quality journalism. Rosenthal: We are generating revenue and audience through other publishers from print, broadcast, radio, or websites. When you are a full-profit news organization, you pay us. The most revenue we´re generating is through video, which pays the most. We can produce broadcast quality video. We do everything from video for local television stations here in California to work with national shows. The European: So you collaborate with many? Rosenthal: Yes. The model is not to be exclusive. What we found is that the whole concept of exclusivity is gone now. With the world in the age of global communication and the internet, something might be exclusive for 30 seconds. People don´t really care who had it first, only journalists might care. But what´s really valuable is the high quality unique content in the clutter of information – not only to reach an audience but to create value around it. The European: Why is it that the classical media houses haven’t got the strength to recover by finding new ideas and solutions? Rosenthal: They are driven by profit and ever-increasing profit. When you are in that model anything that is disruptive to the revenue flow is frightening and verboten. The first questions I was always asked are: Where is the revenue? What will it cost? Is it going to be disruptive? The whole point is, you have to be disruptive now. The European: As journalists, we never think of where the money comes from. So, isn’t it also our own fault? Rosenthal: That was a big flaw in the model. When I became the editor of The Philadelphia Inquirer with a budget of 75 million dollars, I never had business training. What I saw was a clash of values between the business and the creative side, which was also one of the reasons the industry collapsed. When I became the executive director at the Center for Investigative Reporting, what I believed was the new model of having the creative and the business side completely aligned in mission. We’re all entrepreneurs, which means that we all have to think differently. The European: Why do you want to still stay non-profit? Rosenthal: If we can generate enough revenue to become full-profit, we’ll do that. But right now we still raise a tremendous amount of money from foundations. The European: Do I as a reader, web-user, or TV-audience have to have a brand to relate to? Rosenthal: This is one of the challenges. But how do you market and brand something in the age of the internet through social media? The people who fund us, believe that investigative journalism and reporting is crucial to democracy. So, I think it’s messaging and education. The European: In this internet age, we all look for the big headline – not once a day, but every three hours. Is this just exaggerating, or does investigative journalism have to redefine itself? Rosenthal: That’s not what we´re trying to do. If you’re doing a long investigation, it is impossible to do it well if you are also chasing news as part of your job. The work that can result in the greatest impact and lead to the most results can take months. We looked at 51 million bills of a hospital chain over more than a year and revealed a pattern of questionable billing and potential fraud, which can be one explanation for why health care costs are so high in this country. That took a tremendous amount of time and expertise. We almost ignore the speed. The European: In the past there was the editor-in-chief in his ivory tower, deciding for his colleagues and sending out a story in the belief that it might reach the people. Rosenthal: Our best ideas can come from anyone on our staff; top editors or even our office manager. We want to have an organization where everyone has value and contributes. We need that to be successful. The European: Is there a future for what you did before, foreign correspondence? Rosenthal: In terms of international news, being a foreign correspondent in my past, I think it’s crucial. We’re all connected now. And at least in the United States there is less knowledge of the world than before. People become more localized. They don’t care about the world anymore, which is dangerous. The cost of sending a journalist around the world became a dollar decision rather than a value decision. We do international reporting, but candidly, it’s been very hard to get the funding to do that. The European: How do you guarantee independence? Rosenthal: We do depend on donors, but we don’t take funds to do a specific story and have even turned money down for that. That is actually a business model, if you wanted to do that. Because people would pay you to come at something from a political point of view or an agenda. I believe very strongly that there is more value not only to society but also potentially in the long-term financially to have credibility as a core value. That is one of the reasons we do not believe in being advocates. The European: But there’s always a conflict of interests. How do you operate when it comes to controversial issues? Rosenthal: We do stories that challenge and hurt people and potentially expose wrongdoing. There are stories that will come back at us, and we have to be careful. That is why we fact-check and believe we have to be as accurate and fair as possible. But we always know there is the possibility we may be attacked by corporate and political interests. It’s really part of what we do. Robert Rosenthal is the executive director of the Center for Investigative Reporting. He has worked for the New York Times, the Boston Globe, and as managing editor of the San Francisco Chronicle. 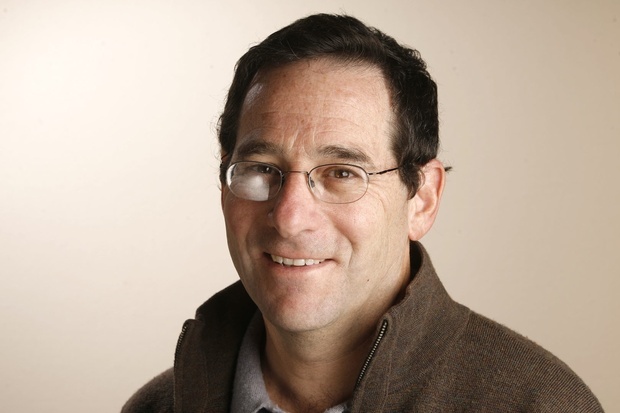 Rosenthal began his journalistic career at the Philadelphia Inquirer, where he rose from reporter to executive editor over the span of 22 years. He has won numerous awards, including the Overseas Press Club Award for magazine writing and the Sigma Delta Chi award for international correspondence.